A delicious classic cookie that's perfect for a lunchbox treat or when the kids get home from school with a glass of milk to dunk it in! Cream the butter and sugar together. Once combined, add the egg and vanilla and beat well. Gave these ago just now, and they are a huge hit! 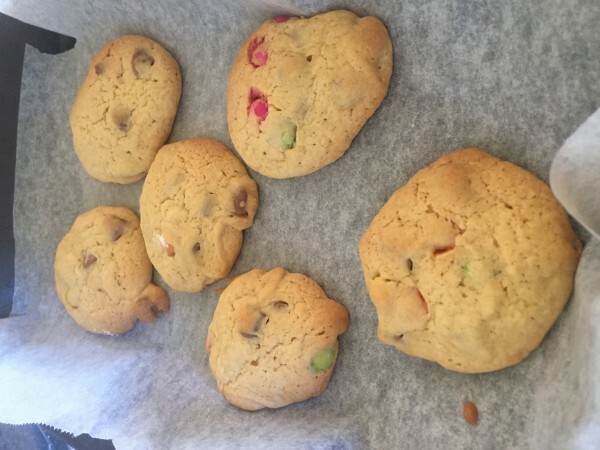 I actually swapped half a cup of flour for cornflour to try give it a softer crunch and I used smarties as well as chop chips. So delicious, thanks! A great one for this weekends combined birthday party. Sounds like a great sometime treat – they look delish! So great to enjoy and share, thanks! Ooh yummy, chocolate chip cookies are perfect any time of day I reckon. Who doesn’t love a Chocolate Chip Cookie. These look fantastic. Great for morning and arvo tea, after school/work snack, evening treat with your herbal tea!! A great back to school, lunch box treat. We are doing some back to school baking tomorrow so will give this recipe a try! Everyone loves choc chip cookies – thanks for your recipe!